Sand le mere seaside holiday park has a sensory playroom. The seaside holiday park near Withernsea has also provided a second room as a place of rest and comfort for parents … has a soft setting where parents can calm their children down. See: holiday village find us area map Sand le mere holiday village, Tunstall, Yorkshire, HU12–0JN. Disability Lincolnshire offer subsidised short breaks. This is for families living in Lincolnshire who have a child with a disability between 0 – 18 years of age. 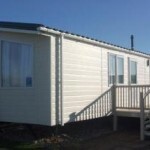 Children can enjoy a holiday with or without their parents, Click thumbnail to the right for more information about this specially adapted accommodation at Skegness. There is a variety of activities on offer. Hesley House Cottages – self-catering for children with special needs, near Skegness. For more information click here. The Thomas Centre offers much sought after specialist holidays at their site near Louth, Lincolnshire. It is located near to the coast. Suitable for supported living or residential care providers. For more information click on Thomas Centre ©. The Respite Association is a charity that can help with the cost of respite care. It is based near Spalding. See their website. To apply for help see Contact Us (01775) 820176 help@respiteassociation.org They have published outlines of cases of families they have helped. See also information sheet about autism-friendly holidays.